Just because we tagged ourselves “Missoula’s Quality Rock” doesn’t mean we’re a one-genre radio station. In fact, you might argue one of the reason’s we’re so “quality” is because our definition of rock includes pretty much anything that’s got rhythm and soul, from the classic oldies to experimental works of today – and EVERYTHING in between. So it should come as no surprise that for this week’s Vinally Friday segment we’re featuring a jazz giant, a blues/gospel flag-bearer and a folk pioneer, all in one day. 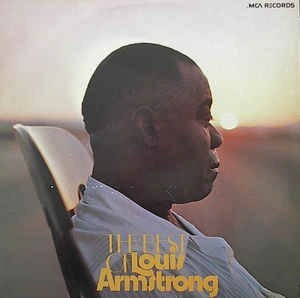 Craig will kick things off with a double album of greatest hits from an American icon, old Satchmo himself – Louis Armstrong. Alanya will follow up with Everybody’s Talkin’ by the Tedeschi Trucks Band. 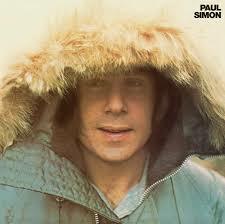 And Tommy – filling in for the vacationing Robert Chase – will close out the day with another exploration of an album he featured earlier this summer, Paul Simon by, you guessed it, Paul Simon. For more on his contributions to music of all types, check out his bio on the Rock & Roll Hall of Fame website. 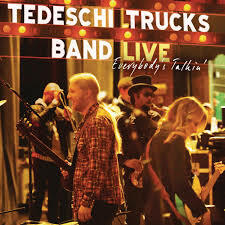 Everybody’s Talkin’ is the second album – and first live release – from the 11-piece R&B/blues/rock/gospel/jazz Tedeschi Trucks Band. Released in 2012, the album compiles cuts from three different performances. Enjoy a live performance of the album’s title track, originally recorded by Harry Nillson, HERE. Though it was the first one actually released to U.S. audiences, 1972’s Paul Simon is actually the second studio album released by Paul Simon after his split with former musical partner Art Garfunkle. Check out the original Rolling Stone review HERE. You’ve got the knowledge; now enjoy the music! Finally, it’s Friday! It’s Vinally Friday on the Trail 103.3 – brought to you each week by Pella Windows and Doors.